Every component of Chaos Spectrum has been optimized to reduce weight while maintaining stability. Each element of the construction was analyzed and adjusted to remove milligrams wherever possible, from thin wall molding to a hollow "spoked" hyperscroll wheel design. 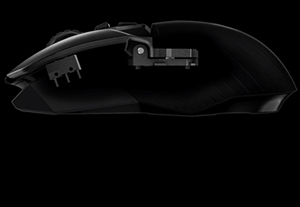 The result is a wireless mouse that weighs in at only 107g, maximizing comfort over extended periods of use and delivering quicker response to motion. This item is covered by Efuture Buy Return Policy. Pros: Solid design. Comfortable. Versatile. Pros: It's a fine mouse, does what it should, be highly unreliable. Cons: Only owned this mouse for 2 years, barely use it through that time period, and a month ago it started going crazy while gaming. The cursor will lag like crazy, and then spin out of control constantly. I've read this on the internet, apparently it's a hardware failure with the mouse and is common with Logitech. 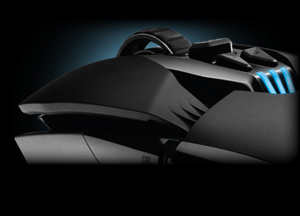 The fact that this mouse is so overpriced (over 130 dollars!) makes it unacceptable that it would fail under light use in less than 2 years. I've never seen such a quick failure rate for a mouse. Other Thoughts: I finally decided to move from my MX518 since my Chinese supplier finally run out of them (when something works good I dont change it regardless of how much OEM brags about its new equipment), and I was a bit put off since a lot of people complain about mouse acceleration and other nitpicks, abut I am pleasantly surprised that this mouse behaves exactly as my good ol MX518, regardless of it being wired or wireless. Also unlike my MX518 this one works good on desk as well as on cloth pad. Pros: Buttons feel solid, ambidextrous without sacrificing comfort in either hand, tracking is amazing. Cons: Battery life is a blatant lie on the box. If you disable the onboard lighting the mouse onboard lights turn on and stay on during sleep/standby or off situations running the battery down uselessly. Despite many requests for months in the logitech forums this issue has not been addressed. The basic design of the mouse will inherently make periodic cleaning difficult as there is a huge surface area of places for debris to collect. This is a hygienic issue that should be noted. The charging cable is a microb, the included cable have some wings that prevent it's use on other microb devices. (I just cut my wings off with a razor blade however it's a truely strange modification to an otherwise industry standard interconnect) I believe the hardware is excellent and if Logitech could just fix the lighting issues I'd be willing to throw it a few extra eggs. As it sits right now (2017/09/10) this is an unfinished product with the highest price tag around. 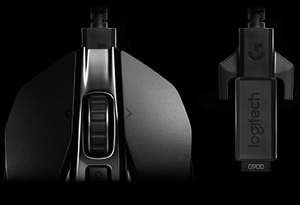 Other Thoughts: I came from the Logitech Performance MX mouse which had an inherent middle click failure. Logitech warranty did replace 2 of them over 3 years however they don't seem to address issues with their products after release. I unfortunately have to recommend something else at this time. - Battery life is amazing. - Shipping and packing was well done. Cons: Nothing that I have encountered as of yet. Other Thoughts: I would recommend this mouse to anyone. This has been the best feeling and functioning wireless mouse that I have used. 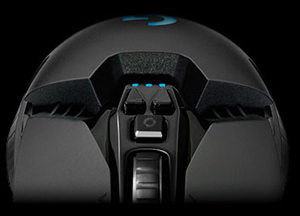 If you want a mouse that makes you feel in control this is the mouse for you. + Not too heavy, not too light. Cons: - The thumb buttons don't work in wireless mode. This is a common problem that has not been addressed by Logitech. Updating firmware has not resolved the issue. - When doing the middle click, it has a tendency to scroll left (tilt the mouse wheel left) at the same time. I upgraded from a G700 where the tilt left / right worked perfectly and so I'm used to having the mouse wheel tilt left / right bound to "forward" and "back" on my web browser and middle click for "close window". Unfortunately this problem makes the wheel left/right tilt much less convenient to use in browsing, and completely useless for gaming. 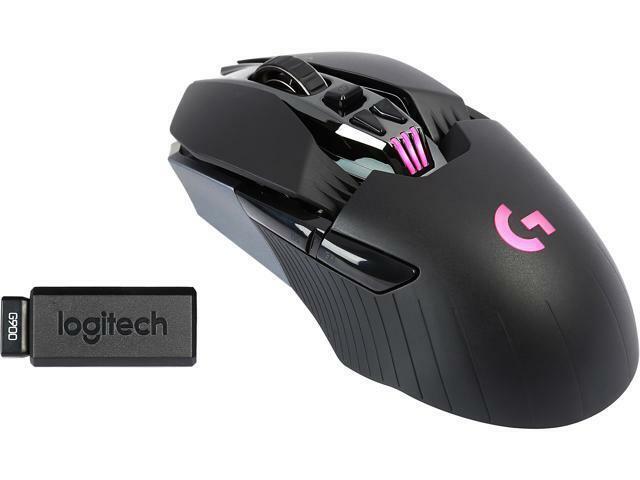 Other Thoughts: - Due to the issues I would *NOT* recommend this mouse at this point because for the price you're paying you expect everything to work perfectly out of the box, and the non-working thumb buttons in wireless mode is a dealbreaker for me. I might have a dud unit, but it seems to be a common problem on the Logitech message board. Final score: 3/5. -1 egg for non working side buttons, -1 egg for middle click / scroll left problem. 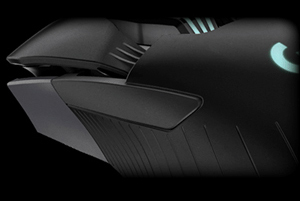 Pros: Overall a great wireless mouse. But I'm surprised no one mentioned that you cannot remap thee left and right mouse buttons or do scripting on those buttons. For a gaming mouse this is pretty limited considering the $50 Logitechs have this option. 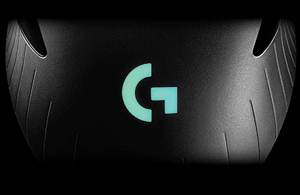 -Can last 24Hour battery life with RGB Lights/ 32Hours without RGB Lights, regardless polling rate, usage hours, and brightness/color cycle rate. Other Thoughts: Wireless click latency and motion latency was very good. 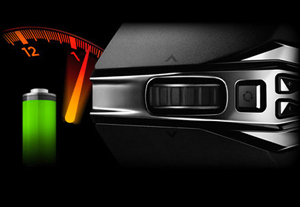 In the past, wireless mouse suffers battery, latency, and the weight issue. DPI up/down shift buttons should be above tactile hyperfast scroll wheel button to easily press DPI shift buttons. That way it'll be a lot easier to improve muscle memory. 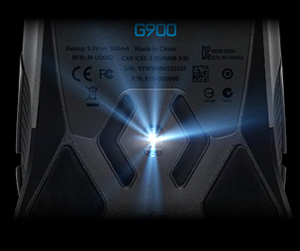 I come from G502 Proteus Core, and it's by far one of the best wireless gaming mouse on the market! 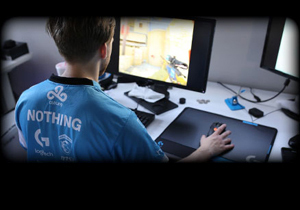 If shape and ergonomic is your biggest concern, you can go with simplistic wireless mouse which is Logitech G403 which is optimally designed for right-handed user only. Overall, I love this mouse a lot! 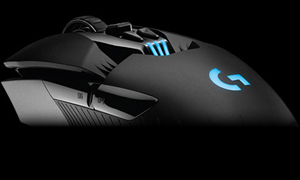 In the near future, I'd love to see wireless version of Logitech G502 Proteus.